SINGER-songwriter KT Tunstall has told of her struggles as an unknown busker, trying to break into a male-dominated music industry and feeling like a “cash cow” after signing to a major record label. The Fife-born musician complained how she regretted “not fighting harder” when she was making the follow-up albums to her breakthrough Eye to the Telescope during a Fringe chat show. Tunstall was appearing with radio DJ Johnnie Walker at the New Town Theatre just months after the release of her four studio album, which was recorded while she was breaking up from her husband Luke Bullen and after her father passed away. She relived the “seismic” change in her life eight years ago after receiving a last-minute call to replace rap act Nas on Jools Holland’s “Later” programme - and was voted the best act on the show by viewers. But asked what advice she would give her younger self, she said: “I would have said: ‘If something feels wrong, if you’re sure that what you want to do is the right thing to do, then fight until you can’t fight any more, really fight for it. “There was a certain amount of compromise, not so much on the first album, but on the subsequent two, because – to be completely crass about it – you are a cash cow for a big label and they want you to make them more money and I was not going in a direction that was necessarily going to make the same amount of money again. “I have a few regrets about not fighting harder to get my way of doing things. “The new album certainly feels like the purest one. I don’t know if it was just gaining complete trust. 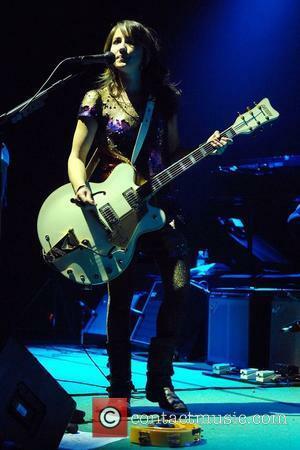 Tunstall, who was brought up in St Andrews, played in a succession of indie bands in Fife, performing with various musicians who were to form the Fence Collective record label, but struggled to make a name for herself. Tunstall told her Fringe audience of her days living in the city, but struggling to find anywhere that would give her a break as a performer. She said: “It was an interesting time, it was very very different from now, the scene was dominated by indie boy, that was the big thing of the day. “I was living in Edinburgh just before I got my record deal and it was impossible to get a gig. I had to put on my own shows and hire the venue to do gigs, because the venues did not want a girl with a guitar. "Be careful what you wish for ..... you just may get it"
If she hadn't signed that contract, would she still be busking in the streets? I'm not hearing her complain about the continued use of SIS in US Walmart commercials. That is about as cash cow as you could get.